See What NationTalk Can Do For You! 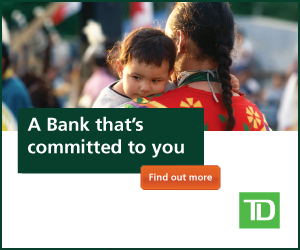 We offer many services to help you with your daily Aboriginal outreach requirements. NationTalk’s mission statement is “To deliver communications by and between Aboriginal peoples as well as the non-Aboriginal organizations and companies that participate effectively within our community and economy daily”. We are different from mainstream media in that our focus is on Canada’s Aboriginal community. We deliver daily your press releases, events, tender and employment content to a very targeted audience that include Chief and council, economic development officers, mainstream Aboriginal affairs offices in both public and private sector as well as many others that work effectively within our community. Information is the key to our success, the more knowledgeable our people become the more prepared we will be to succeed as a whole. NationTalk will distribute your press releases, events and other information to the Aboriginal world for you. We will pass on your information to the clientele that are your main target, as our contact list include people from all areas of our community including private and public sector. Our trained staff are dedicated to finding just the right avenue to benefit you and your customers. You can also call us at 1-866-651-8516 ext 200 or email us directly at sales@nationtalk.ca.